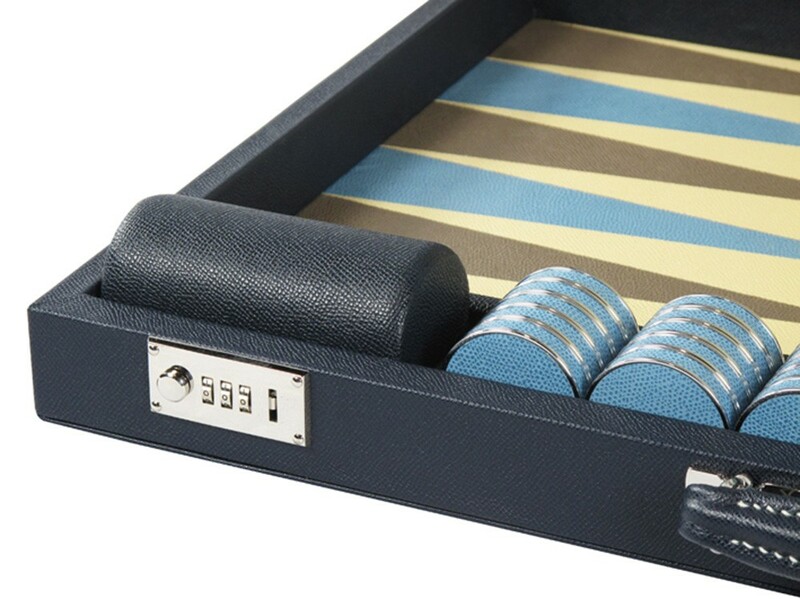 Combining the modern with the traditional – our stunning Contemporary design backgammons showcase the twinning of leather & metal to a magnificent extent. 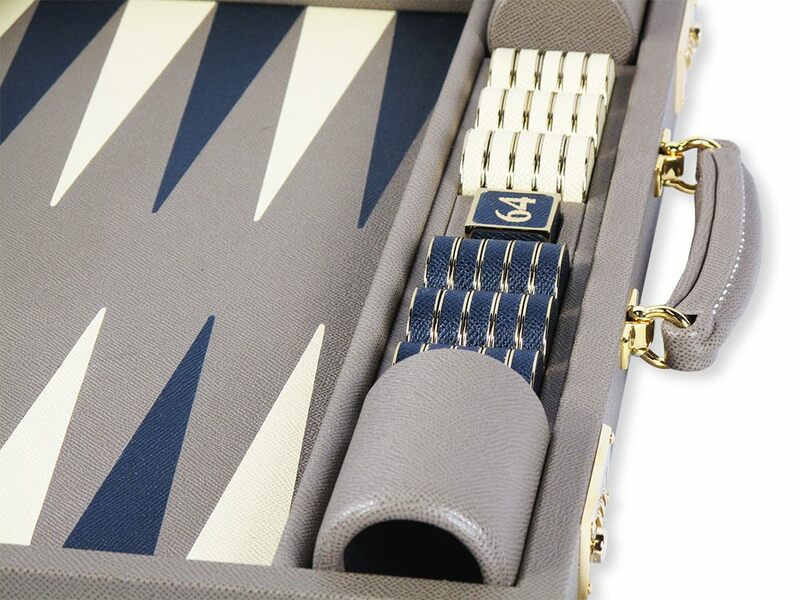 Our attaché case features a full leather, handmade handle and locks to make it easy to transport between tournaments or homes. 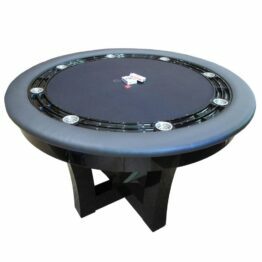 While our tabletop version is suede backed and designed to lay open on a table for all to see; it doesn’t feature the locks or handle. 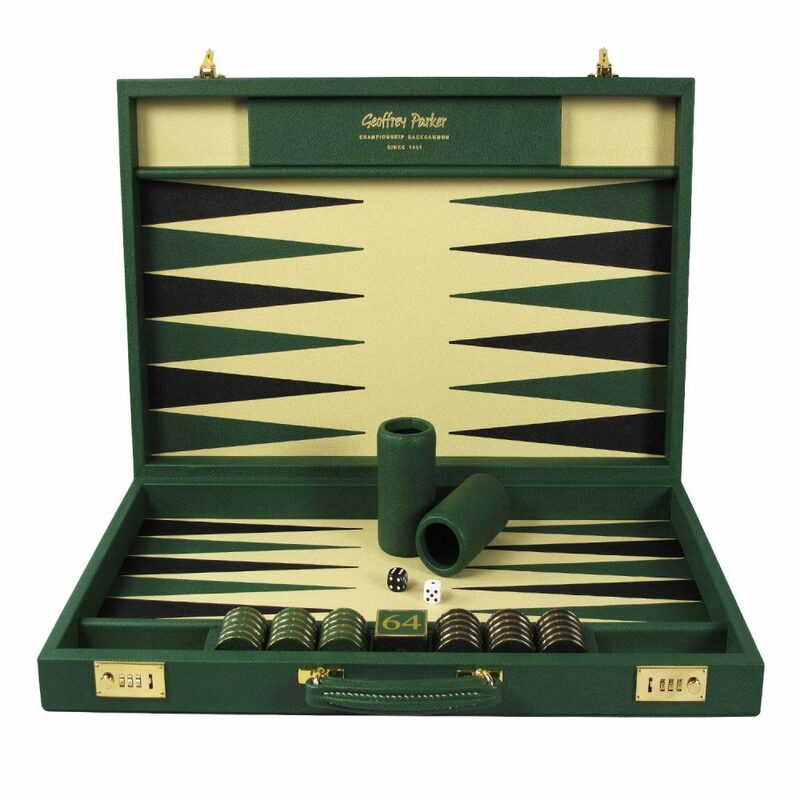 Our signature backgammons are custom made to order by our master craftsmen. 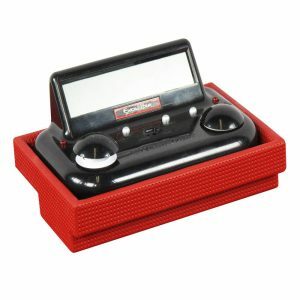 It’s specially tanned for gaming making it is super-fast, wine & tobacco resistant. With over 28,500 possible colour combinations you can design your own, truly unique luxury backgammon. Select your size and choose your colours. Our leather and metal luxury backgammon set comes in a range of colour and size options; if you have any difficulty choosing which you’d prefer, please feel free to get in touch. We have a large archive of images which can be used to demonstrate various options. 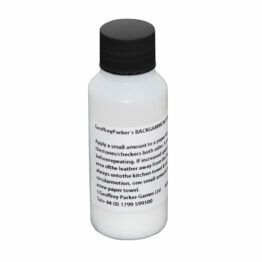 Please be aware, due to the handmade nature of the product, our lead times can become longer due to seasonal demands. 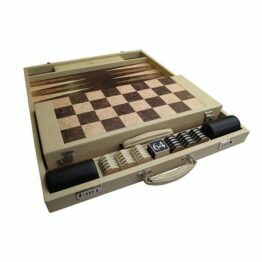 Our Attaché case is our traditional board featuring locks and a handle for easy transportation between locations like competitions or travels. 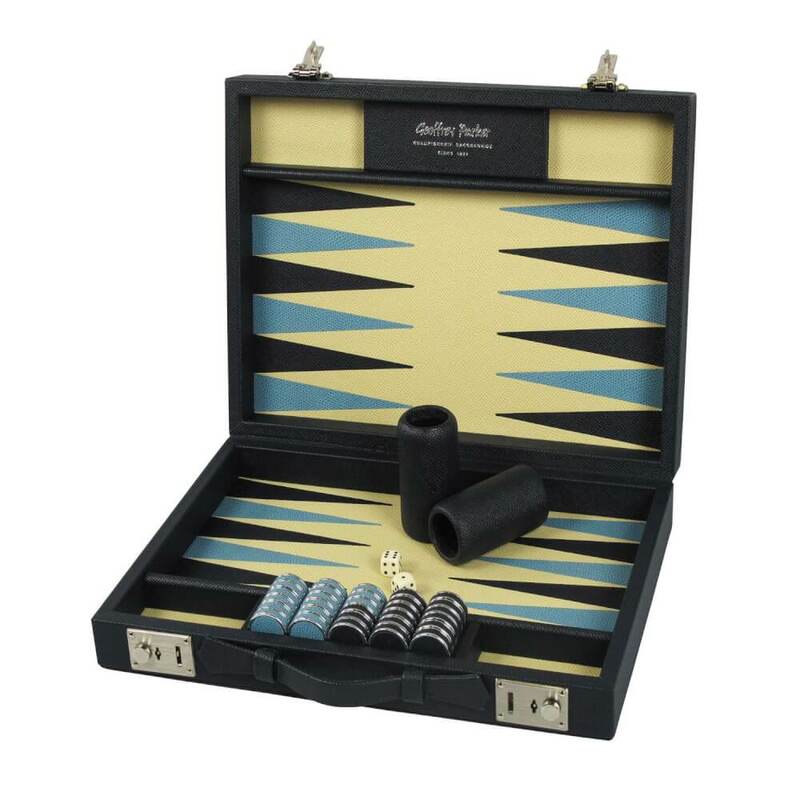 Our Table Top Backgammon originates from a great demand for table-top backgammon boards. 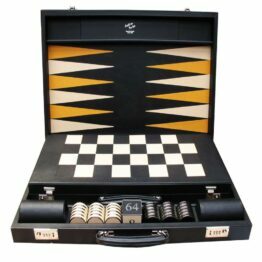 Calls for this style of board came from the many gaming clubs and casinos we have supplied over the past 45 years. This was of course, alongside aficionados; those with a love of the game who play so much that their board is hardly ever closed also requested a tabletop version. These folding table top boards don’t compromise on any aspect of quality; they equally measure up to their attaché case counterparts. They are just missing the handles, locks and their underside is protected by a non-slip suedette. Choose from a wide range of sizes and over 28500 colour combinations before adding personal touches like initials, family crests and logos. 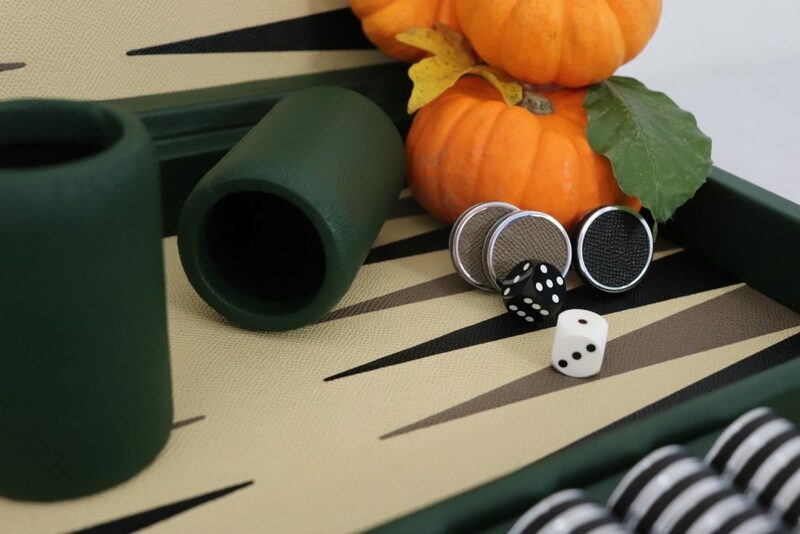 All of our backgammons are personalised backgammon sets; in fact, pretty much all of our products are customisable so please get in touch if you’d like to customise your product in some way. I have to say this is one of the most beautiful board’s I’ve ever purchased. The customer service was amazing and the board itself is even better than i could have ever imagined. I absolutely love my new board.Although the colour combination was exactly as expected,the playability is even more important and it plays like a dream! Great service all round. I finally got round to playing on the board last night and wanted to thank you (and everyone else involved in making it) for producing such a first-class piece of work. It’s a truly beautiful piece which I will treasure for many years to come! !